Order rides when your customers need it most. 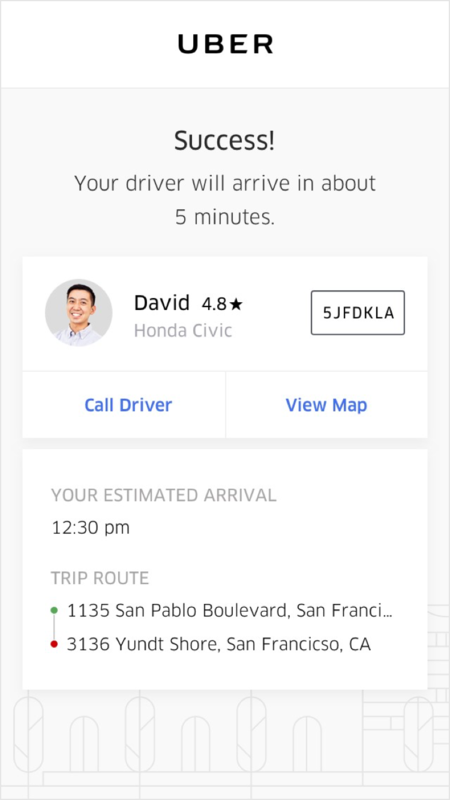 Uber Central lets you deliver reliable rides to anyone - whether the ride is needed immediately or can be scheduled in advance. Best of all, to arrange a ride you'll only need a guest name, their mobile phone number, and destination. Plus, your rider won't need the Uber app. Average time of arrival is less than 5 minutes. Uber provides over 10 million rides per day. $1,000,000 insurance coverage for every ride you arrange. Free to set up–no minimum spend required. 1 payment method means all rides are centrally billed to your account. No app needed - your customers will get trip details via SMS text. Hotel Angeleno makes cross-city travel seamless for customers & guests. Instead of creating a costly shuttle service, hotel employees can schedule rides for guests using Uber Central. All trip details are tracked in a Dashboard and viewable by hotel staff. Get on-demand transportation for your customers, clients and guests.